There have been persistent reports claiming Samsung might go buck wild with the Galaxy S6, and a new report has allegedly confirmed one of the juiciest rumors: That an iteration of Samsung's upcoming flagship will sport a dual-edge display. Think of the Note Edge but, you know, with both sides sloping down for maximum mind blowing effect. In no uncertain terms, SamMobile says it has confirmed with an anonymous source that Samsung is "indeed developing a Galaxy S6 with two-edge displays, one on each side." There will still be a regular S6—a device we've been hearing quite a bit about over the past several weeks—but the S6 Edge (as we'll refer to it in this report) will obviously be the Korean company's more daring model. The Note Edge was one of last year's more innovative phones, even if the potential of the edge display wasn't fully tapped. With some refinement and more engineering insanity, Samsung is hoping to capture lightning in a bottle just months apart. Aside from using more premium build materials, the company obviously sees this as a big opportunity to stand out. According to SamMobile, the Galaxy S6 and S6 Edge won't be announced at the same event. Instead, the S6 Edge will get its own special billing at a later date. It makes sense; Samsung doesn't want to downplay its commitment to the design (even though Samsung said the Note Edge might be a one-off). To take advantage of the double-sloped edges, Samsung is reportedly working on new software features. For one, you can choose to activate a main edge panel depending on your dominate hand, and there will also be a feature dubbed "Glance Lighting," which will light up the edge screen to indicate notifications when the S6 Edge is facedown. Other features present in the Note Edge, like Night Clock, will be available as well. 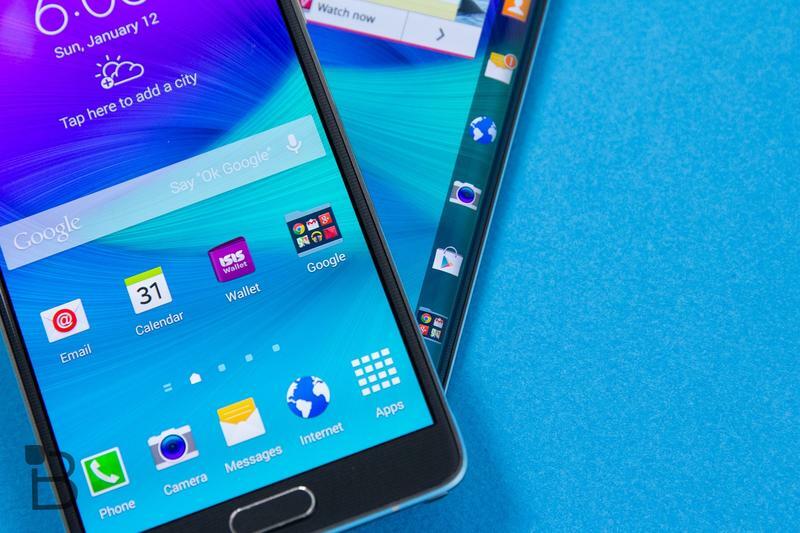 SamMobile claims it will leak more information on the S6 Edge "bit-by-bit over the coming weeks." Guess we'll have to stay tuned.